The Accelerated Dragon is much more than just a dynamic yet solid means of countering 1.e4. By knowing how to counter the Maroczy Bind Black can counter both the English and Reti Openings and even develop the basis of a defence against 1.d4. Whilst having been used extensively by superstars such as Bent Larsen and Tigran Petrosian, Davies argues that the Accelerated Dragon is an even more effective proposition for club players. 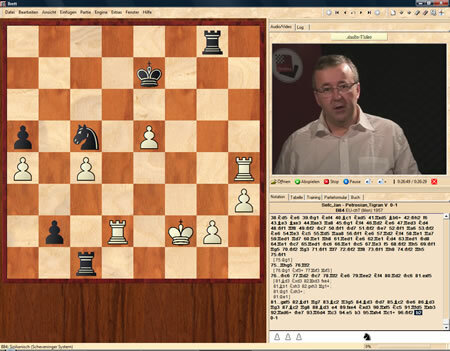 As he explains on this DVD, many White players are under the mistaken impression that the positions are like a regular Sicilian Dragon. And if this is the case they can find himself being demolished right out of the opening. 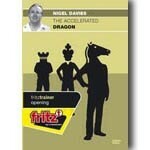 Nigel Davies has been a Grandmaster since 1993 and is a former British Open Quickplay and U21 Champion. He had more than 30 years international tournament experience and is the author many other best-selling DVDs for ChessBase.